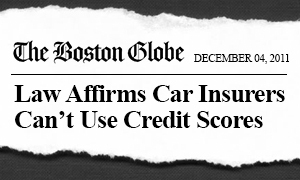 For years, independent insurance agents had been trying to pass consumer protection legislation to prohibit insurance companies from using certain socio-economic factors, such as credit scoring, in the underwriting and rate setting of auto insurance policies. Their efforts had been continually stalled and defeated by powerful interests within the insurance industry. Our job was to break this logjam and get their bill over the goal line. Instead of using the standard lobbying playbook, which would have all but ensured the status quo, Ventry devised a fully-integrated public relations and grassroots campaign that ultimately lead to the biggest legislative victory in MAIA’s history. This campaign began with opinion polling, which found that the general public overwhelming supported MAIA’s position. 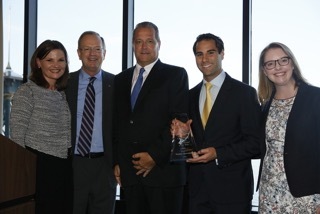 Added pressure was then brought to bear through a grassroots ballot referendum campaign that leveraged and mobilized the power of thousands of local insurance agents across Massachusetts. We provided “air cover” to this ground campaign and our lobbying effort through earned media stories on television and radio, as well as newspaper articles, op-ed pieces, editorials and letters to the editor from local agents and consumers. In the end, our opponents relented in the face of a potentially costly ballot campaign and the credit scoring legislation became law. Historically, the 41 members clubs that now comprise the Massachusetts Alliance of Boys & Girls Clubs sought individual earmark funding for their local organizations through the annual state budget, an inefficient and unpredictable process for obtaining state dollars. Working in close partnership with Boys & Girls Clubs of America and club officials across Massachusetts, Ventry Associates helped unite these organizations into a single state funding access point and advocacy organization. We then built a lobbying plan to teach clubs how to steward their legislators and created an annual luncheon/lobbying day on Beacon Hill, which remains one of the most successful and well-attended events on the State House’s annual calendar. Since FY2005, Ventry has secured over $15 million for the Massachusetts Alliance of Boys & Girls Clubs, making it a national model for other state Alliances across the country. Ventry has spoken at multiple national Boys & Girls Club conferences to share this success story and advise others on best practices. 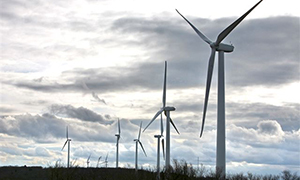 Today, the Berkshire Wind Power Project is the largest onshore wind farm operating in the Commonwealth of Massachusetts. Consisting of ten 15-megawatt turbines, Berkshire Wind is capable of producing enough electricity to power 6,000 homes while offsetting the production of nearly 612,000 metric tons of carbon dioxide and the use of 1.7 million barrels of oil.